The Centre for Compressor Technology hosted the 9th biennial International Conference on Compressors and their Systems from 7th to 9th September. 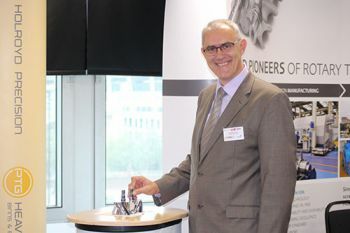 The Centre for Compressor Technology at City University London successfully hosted the 9th biennial International Conference on Compressors and their Systems from 7th to 9th September. 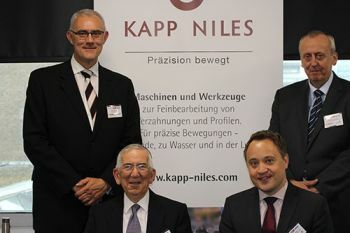 The conference was supported by the Institution of Mechanical Engineers and the Institute of Refrigeration and sponsored by Holroyd PTG, Howden and Kapp Niles. The Centre for Compressor Technology celebrates its 20th anniversary this year. The conference (the largest and best attended since its inception in 1999) took place at the Mermaid Conference & Events Centre in Blackfriars, Central London. Vice-Chancellor, Professor Sir Paul Curran, formally welcomed delegates to the conference on 7th September. 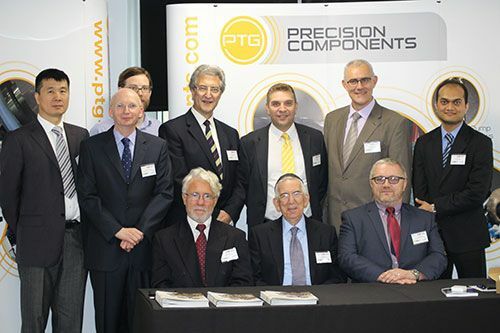 Chaired by Professor Ahmed Kovacevic, Howden Chair in Engineering Design and Compressor Technology, the conference was attended by 180 delegates, with 90 papers presented. Of these 83 technical papers were delivered in three parallel sessions during the first two days of the conference. These were selected from 132 proposed abstracts, peer reviewed by globally recognised experts and published by the renowned Institute of Physics’ (IOP Conference Series: Materials Science and Engineering). 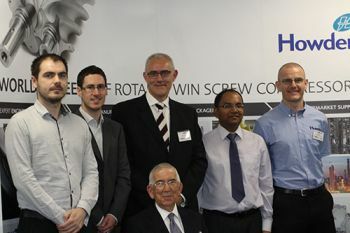 For the first time, the Organising Committee introduced an industry Day, in which seven senior industry representatives spoke to 100 delegates about business and market influences on the design and manufacture of compressors, including the impact of new technologies and changes in economic, environmental and regulatory conditions. The conference was preceded by a Short Course on Computational Fluid Dynamics in Positive Displacement Compressors, from 5th to 6th September organised by Professor Kovacevic and Dr Sham Rane. This attracted 45 delegates of which 29 were drawn from industry while 16 were from academia. Interest in this topic has seen a steady yearly increase, this year featuring 12 presenters from City, Gent University, Simerics, Trane and CFX Berlin, who presented topics on leakage and multiphase modelling of flows in rotating machinery. The next Short course will be organised to coincide with the 10th International Conference on Compressors and their Systems in September 2017. Mechanical Engineering is the broadest of all engineering disciplines, encompassing areas such as energy, fluid mechanics, dynamics, combustion, vibration, design, manufacturing processes, systems modelling and simulation, mechatronics, robotics, mechanics of material, rapid prototyping and composites.